With week 12 officially in the books, there’s still a lot of football left before we can start talking playoffs. But with the NFC so tightly bunched together, there’s absolutely no room for error by the Saints now. Just one more loss could spell disaster and thrash any post season aspirations for the defending Superbowl champs. At 10-2, the Atlanta Falcons are nursing the best record in the NFC and leading New Orleans by a game and a half. And having salted Tampa Bay away twice already, any hopes of their defeat by any other teams (except the Saints) on their final four-game schedule are dwindling fast. So, I’ve resolved myself to the idea that New Orleans is more likely to get into the playoffs as one of two wildcards. That of course would be a whole lot better than not making it at all. People have asked, “What if our records are both 13-3 when the regular season ends?” Well, Atlanta would still have the edge by virtue of the Saints’ ridiculous loss to the Arizona Cardinals, a common conference opponent. Our only hope now is that Carolina or Seattle can somehow pull an upset. 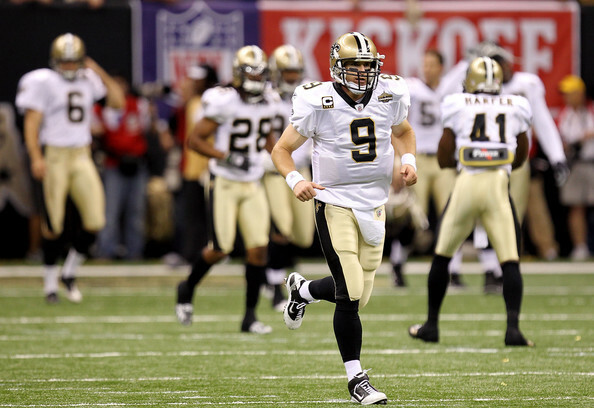 Even then, the Saints still have to win out–plain and simple. While I won’t hinge too much hope on either Carolina or Seattle creating a miracle to help us out, I won’t totally doubt that anything could happen. After all, who would’ve thought that the Saints could lose to either the Cardinals or the Browns with their losing records and rookie QBs at the helm? And look how those losses are coming back to haunt them. No one thought at the time that either one of those games would be just as important as the missed field goal that ensured Atlanta a victory in the Superdome. But with the NFC playoff picture looking so unclear at the moment, everything matters now. Nevertheless, even a wildcard spot may not be so terrible. At worse the opponent would be the winner of the NFC West, a team which could very likely have a losing record. Now we all know that doesn’t mean anything. But the Saints are playing some very good football at the present, the offense having found its footing and all. They’ve finally started beating the teams they’re supposed to beat. I think that gives them the momentum and confidence that they need moving forward. 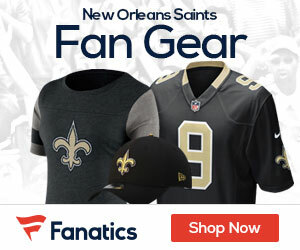 Sure, it would be great to have domefield advantage and have everything come through New Orleans again, but all the Saints have to do is win wherever they play. Of the three losses this season, only one has come on the road. Granted they still have two tough road games left, the Saints have proven that they can play just as well on the road as they do at home. They’ve been just as successful on grass as they’ve been on turf and they’ve even managed well in frigid weather. The circumstances don’t matter a whole lot when the team is clicking on all cylinders and lately they’ve looked very sharp. With all that said, I hope Coach Payton can do something about the undisciplined players that keep racking up all those penalties that have been hurting the team. It’s time that the multiple-offenders be held accountable until they make a conscious effort to do better. And special teams needs to be overhauled as well. Each of the next four games is going to be just as important as the next. Three of those will be conference games and two of them division games. The game at Baltimore is so important because the Saints need it just to keep pace in the tight race. Therefore, dumb penalties, stupid mistakes, and poor tackling need to be done away with completely. Things like that are how the Saints have been blowing big leads as of late and end up having to come from behind and win by a miracle. Those silly mistakes have killed drives and gave momentum to the other teams. I for one am glad to see the return of the big plays and a bit of consistency in the ground game. But if the Saints hope to make it into the post season, they’re going to have to play to perfection from here on out, particularly when it comes to execution. Every aspect of their game is going to have to nearly flawless. We know they have all the pieces. We know they have the hunger and the desire. And they have hoards of fans who will follow them anywhere. All they have to do is play their game to their full potential and they can be virtually unbeatable.